Sarahs Day baby name, and the birth vlog viewed by more than a million. 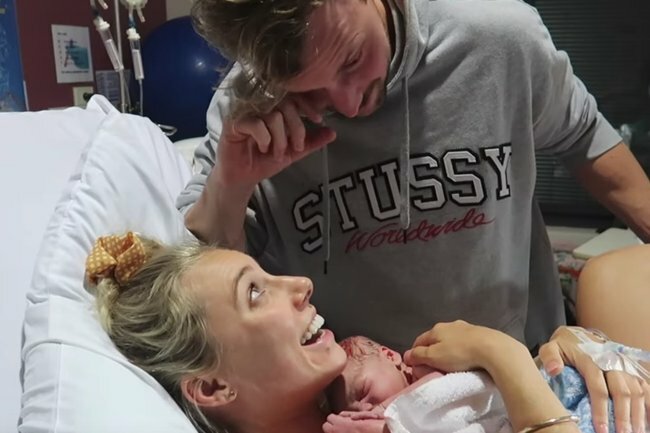 From the very first contraction to howling in excruciating pain in the shower – the birth video of fitness blogger Sarah Stevenson is being touted as one of the rawest and most emotional videos on the internet. By more than one million viewers. Stevenson, or Sarah’s Day as she’s known to her followers, filmed the birth of her son starting from Sunday, March 24 to delivery on Tuesday, March 26. Five days later, she filmed a baby name reveal video, before sharing her son’s name on Instagram; Fox Ocean Tilse. “After years of watching and loving other women’s birth videos, I can’t believe I now have my own,” she posted before the video went live. “I was determined to capture this experience for what it truly was, no matter the outcome or hiccups along the way. I’m so happy we were able to document this amazing experience for our own memories, but also to share with you!” she said. And fans who watched her scream and writhe in pain with her partner, mother, and sister by her side, to the first cuddle with her baby boy, have been utterly moved by the glimpse into what labour really looks like. Some fans said they cried the whole way through the 25-minute video. "I really felt that. It&apos;s overwhelmingly raw and honest and I have definitely cried. I&apos;m so happy for you both!" one posted. "I cried so much watching this. I gave birth two months ago. I feel you. This is hard... but you were so great," another said. "Balled my eyes out. So authentic," added another fan. Among the many emotional moments fans have pinpointed in the 25-minute video, is when Sarah&apos;s mother enters the bathroom and begins to pray for a safe delivery over a hunched Sarah who&apos;s sobbing in pain in the shower. "This is what our bodies are built for... Father we pray for some energy," Sarah&apos;s mother can be heard saying. "Watching your mum praying over you was the most emotional thing I’ve ever watched another person go through," one fan said of the scene. Others praised her partner Kurt Tilse. "Wow, Kurt was absolutely amazing! You guys are such a good team!" one viewer commented. 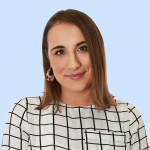 The Sydney-based fitness star thought she may never be able to fall pregnant due to debilitating hormonal problems, she shared in her pregnancy announcement last year. She has spoken openly in the past about her hormonal problems and how difficult it would be for her to conceive, so when she and Kurt fell pregnant, it came as a "shock". Last September, she shared her pregnancy news with fans in an emotional clip, which saw her sobbing into her hands before explaining that she was nervous about the birth given her health problems. "My gynecologist said that if I ever wanted to get pregnant I would probably need help and that it would be hard for me," she said.